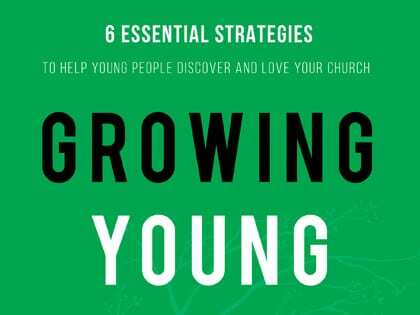 Everyone wants their church to get younger, defined here as reaching 15- to 29-year-olds. But most churches do little about it besides lament their aging. The six major concerns defined are derived from research centered on 259 churches of all sizes, ages and parts of the U.S. And none of the “secrets” of getting younger involve electric guitars or ripped blue jeans. All six may be hard to do, but they are not complicated—which is the way action-oriented love is, and that’s the godly characteristic behind all of these. Let’s hope churches embrace these before they die of old age. Otherwise, lamentations. Very easy to read and as practical as this week in your church. It’s really a strategy for shifting gears to get going on important ministry issues. And the ways to decide on what should be shifted are worth the read! The seven things Bob Russell would do differently and seven things “I’d do the same” could be helpful in a small, country church as well as in a huge one, like the one Russell led. Size will vary but not human nature or temptations. Hirsch analyzes the “apostolic genius,” his label for the six major elements behind the explosive growth of the church right after Jesus left, in contrast to the “institutional forms” that followed. His call to embrace those six again is strong! EVALUATED BY KNUTE LARSON, Outreach consulting editor and a pastoral coach and teacher. He is the pastor emeritus of The Chapel in Akron, Ohio, where he pastored for 26 years.